Marci: Can you tell us more about Bayla Gideon? Eva: Bayla is a bluestocking (an intellectual or literary woman) with a wry sense of humor. She is obsessed with archeology and natural history. 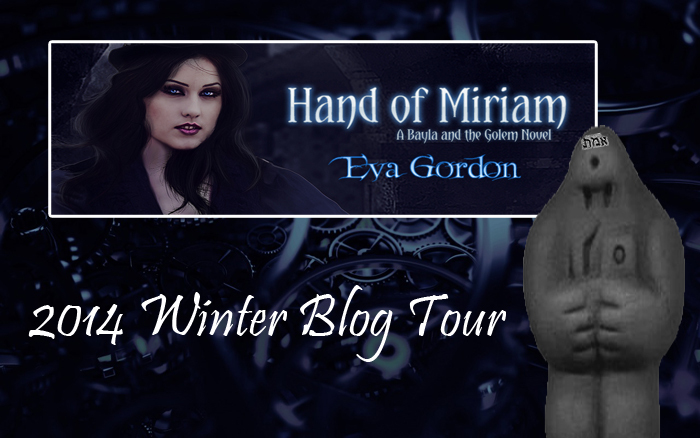 While on an archeological expedition, Bayla finds an ancient Hand of Miriam or a hamsa, a small amulet shaped like a hand and embedded with an eye on the palm. It is a common amulet used to ward off evil or the evil eye. 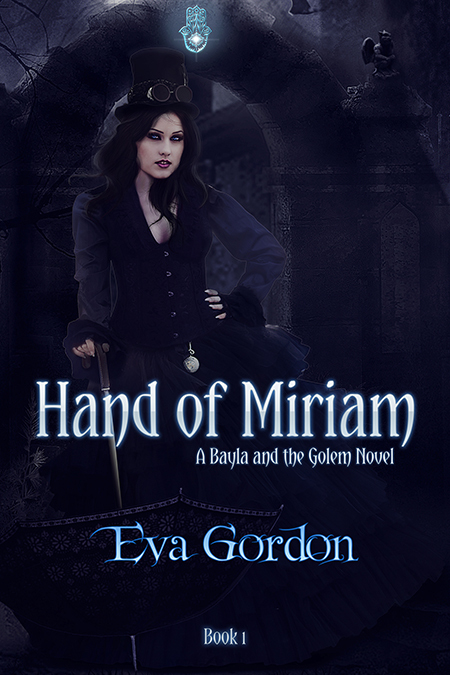 A sandstorm comes and when it’s over, Bayla is embedded with the Hand of Miriam and can now detect evil. On her return to England, she must deal with reading peoples negative thoughts and the ire of other kind creatures. 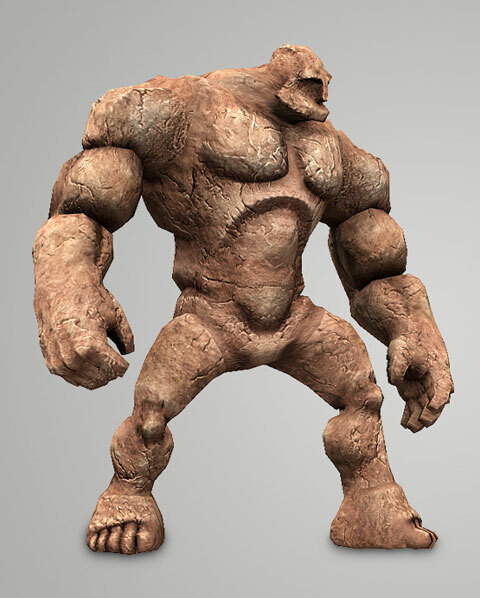 Faced with new danger, Bayla awakens the golem, a clay man, to protect her. Marci: Does Bayla have any hobbies? Eva: Before the incident in the desert, she loved going on archeological digs and adventures. Marci: If Bayla could change anything about his/her life, what would it be? Eva: She would remove the Hand of Miriam from her palm and return to being normal. Marci: If your book became a movie, who would be your dream cast? And directed by Peter Jackson. Joe Manganiello would play Gesher the golem when in human form. Marci: Do you prefer silence when you write or a noise/music? If music, what did you listen to while writing Hand of Miriam, A Bayla and the Golem Novel? Marci: Do you find yourself listening to different music depending on what scenes you are writing? Eva: Yes, all the time. I have quite a playlist on Spotify. Marci: Milk or dark chocolate? Marci: Jaguar, Ferrari, Prius, or pick up truck? Eva: Prius but with a truck for snow days. Eva: You are making me choose between coffee and wine? Hmm. Coffee. I need to be alert for editing. Marci: What do you do to refresh and relax? Eva: Yoga and I work with raptors (hawks and owls). Marci: Tree house, regular house, or cave? Eva: Cave but tree house comes a close second. Marci: History show, DYI shows, sitcoms, CSI type shows, or reality shows like Keeping up with the Kardashians? Eva: History and science shows. Dracula, Grimm, Downton Abby and The Walking Dead. Marci: Is there anything else you’d like to share? 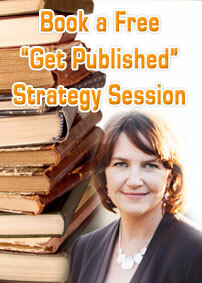 Eva: I also write paranormal romance with The Wild Rose Press and Corvallis Press. I work with raptors and I do workshops on animal lore. I will be doing a workshop on Wolf Lore for RWA’s July Convention.